The next seven videos don't contain anything particularly amazing in terms of program capability but each still contains valuable information. Below is the video titles I worked through. Since nothing particularly stands out I'll just give a brief summary of each one. The Advanced Fill Tools video pretty much gives you a run down of how all the tools in the fill toolbox work. Of particular note was that fills can be applied to both object lines only and areas or both and you can also apply fills to areas enclosed by completely different objects (creating a new shape object in the shape of the fill). The Advanced Style Palette video, as you would expect, is a run through of how most of the Style Palette tools work and some of the settings that can be applied. There are so many settings here but of particular note is how easy it is to make sharp, flat characters (typically associated with flash animation) look artsy and hand drawn using brush effects. You should watch the Style Improvements video immediately after the Advanced Style Palette video (before you test anything you've learned from that video out) as it contains information that better explains the functions of the style palette. 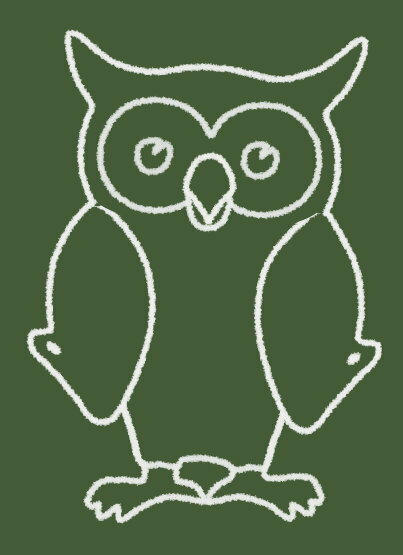 For example, I had a lot of difficulty creating my Chalkboard Alvin the Owl because, when I tried to apply the chalkboard style I created, nothing was happening. Had I watched video 9 I would've realized I was selecting the style from the edit style drop down menu (at the top of the palette) and not from the Style 1 and 2 drop down menus further down in the Advanced palette where, when selected, that style is applied to your object. The Eye Dropper Update video demonstrates how the improved eye dropper can be used to capture the hex code of any color to the clipboard, which you can then paste into any color hex code box inside Moho (or in other programs like your graphics editor too since it's just the code being placed on the clipboard). Texture Transparency describes an update for how you can take advantage of transparent PNG files to use as textures. Previously transparent textures were not supported. 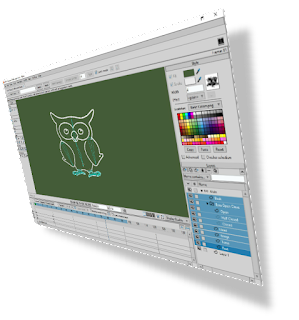 The Advanced Layer tools video is a straight forward run down of all the Layer tools in the tools palette. The majority you will have already used by this point. Of interest is the Rotate XY layer tool which lets you rotate 2D objects in 3D space, allowing Moho to treat them like 3D objects in terms of viewing perspective. For example, with Alvin I rotated him forward, so his head appeared closer to the camera. It's not very spectacular as a still image but when teamed with camera movement the 3D treatment looks pretty good. Alvin with Rotate XY applied. His head is titled closer to the camera. Now when the camera pans his perspective changes accordingly. 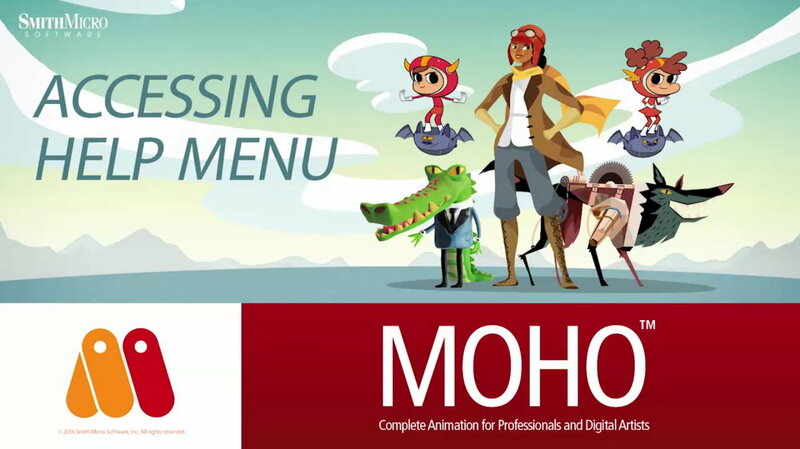 Finally the Layer Options video is a complete run down of all the different layer types in Moho, from vector to audio layers and how they work. The common ones you'll be familiar with whilst others will be new if you're following through these tutorials for the first time. It's a good one to watch if you just need a quick reminder of layers and their settings. At this point I am very impressed with Moho. Considering how much it can do it makes me wonder why animators of any level wouldn't consider it as their studio of choice... and I still haven't gotten into the even more advanced features. 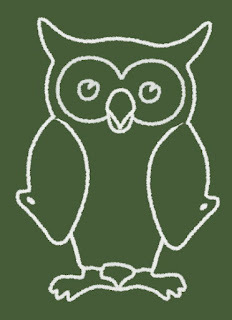 If you've come this far in reading about my progress through learning Moho you should be able to see that it isn't as hard to learn as it seems. It's just a case of getting the video tutorials in the right order. Next post I'll try to push through the updates and hopefully feature some of the really advanced animation tools not yet covered. Just wanted to say thank you for this series of posts. Super useful.